Donald Trump Version 2.0 or Mental Health Nightmare? Personality Type or Psychological Type are terms most commonly associated with the model of personality development created by Isabel Briggs Myers (aka Briggs Meyer, Meyer Briggs, Briggs Myers, Myer Briggs) the author of the world’s most widely used personality inventory or personality assessment, the MBTI or Myers-Briggs Type Indicator. ® Myers and her mother, Katharine Briggs, developed their model and inventory around the ideas and theories of psychologist Carl Jung, a contemporary of Sigmund Freud and a leading exponent of Gestalt personality theory. 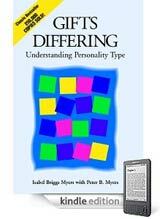 Beginning in the early 1940’s, Myers & Briggs extended Jung’s model with the initial development of the MBTI assessment. They put Jung’s concepts into language that could be understood and used by the average person. Isabel Myers’ book “Gifts Differing”, published posthumously in 1980, provided a comprehensive introduction to the Jung/Myers theory. Still relevant today, Myers’ book and her philosophy of celebrating human diversity anticipated the workplace diversity movement. In her studies of people and extensive reading of Jung’s theories, Myers concluded there were four primary ways people and their minds differed from one another. She labeled these differences “preferences” – drawing a similarity to “hand preferences” to illustrate that although we all use both of our hands, most of us have a preference for one over the other and “it” takes the lead in many of the activities in which we use our hands. The first set of mental preferences relates to how people “Perceive” or take in information. In the Myers-Briggs Type Indicator – MBTI Personality Type Code, this is the second letter. Those who prefer Sensing Perception favor clear, tangible data and information that fits in well with their direct here-and-now experience. In contrast, those who prefer Intuition Perception are drawn to information that is more abstract, conceptual, big-picture, and represents imaginative possibilities for the future. The second set of mental preferences identifies how people form “Judgments” or make decisions. In the Myers-Briggs Type Indicator – MBTI Personality Type Code, this is the third letter. Those who prefer Thinking Judgment have a natural preference for making decisions in an objective, logical, and analytical manner with an emphasis on tasks and results to be accomplished. Those whose preference is for Feeling Judgment make their decisions in a somewhat global, visceral, harmony and value-oriented way, paying particular attention to the impact of decisions and actions on other people. For example, people who share Sensing and Thinking preferences find they are naturally on the same wavelength; they easily understand one another, making good teammates and partners. Likewise, people who share Intuition and Feeling have a similar kinship among them. However, in the “real” world, it is more likely that you’ll find a mixed bag of people, a variety of types, in the same work group. While this diversity can be a useful strength, contributing to greater depth and breadth of team competence, there will be natural communication barriers within the team due to their natural mental language differences. Such differences can be overcome, and the communication gap bridged, with mutual respect and practice learning to “talk” and “think” in a second or third language. A MBTI workshop can be seen as an introduction to learning the language, habits and culture of other types. There are two other mental preferences that are part of the MBTI Myers Briggs model: Energy Orientation and Outer World Orientation. The first one is the dimension of personality discovered by Carl Jung that became widely adopted by general psychology: Extraversion-Introversion. The second is the dimension of personality that is Myers’ unique contribution to Jung’s theory, an element she inferred from Jung’s work but was not clearly addressed as an essential component of his theory of types. This is the style or orientation one uses in dealing with the external world: Judging or Perceiving. Energy Orientation pertains to the two forms of Energy Consciousness each of us experiences on a daily basis. We occupy two mental worlds: one is inwardly turned, the other is outward. One of these worlds is our elemental source of energy; the other secondary. In the Myers MBTI Personality Type Code, this is the first letter. Those who prefer Introversion draw their primary energy from the inner world of information, thoughts, ideas, and other reflections. When circumstances require an excessive amount of attention spent in the “outside” world, those preferring Introversion find the need to retreat to a more private setting as if to recharge their drained batteries. In contrast, those who prefer Extraversion are drawn to the outside world as their elemental source of energy. Rarely, if ever, do extraverted preference people feel their energy batteries are “drained” by excessive amounts of interaction with the outside world. They must engage the things, people, places and activities going on in the outside world for their life force. While the E-I dimension was Jung’s gift to general psychology, unfortunately it has been widely distorted into a well-unwell scale with characteristics of Introversion being cast in a negative light and conversely characteristics of Extraversion cast in a positive light. This cultural bias frequently leads natural introverted types to mis-identify their primary preference as Extraversion. Extraverted Orientation relates to which mental preference one relys upon in dealing with/relating with the Outside World. It is the mental function that takes the lead in the Extraverted portion of a person’s personality. When this leading function is one of the two Judging mental preferences, then this orientation is called Judging. When this leading function is one of the two Perceiving mental preferences, then this orientation is called Perceiving. In the Myers MBTI Personality Type Code, this is the fourth letter. Those who prefer Judging rely upon either their T or F preference to manage their outer life. This typically leads to a style oriented towards closure, organization, planning, or in some fashion managing the things and or people found in the external environment. The drive is to order the outside world. While some people employ an assertive manner, others “ordering touch” – with respect to people – may be light. Those who prefer Perceiving rely upon either their S or N preference to run their outer life. This typically results in an open, adaptable, flexible style of relating to the things and people found in the outside world. The drive is to experience the outside world rather than order it; in general lack of closure is easily tolerated. For person’s whose Energy Orientation preference is E, the Extraverted Orientation (J or P) points to their dominant function, ergo “what you see is what you get.” But for those whose Energy Orientation favors I, their Extraverted Orientation (J or P) is opposite their dominant function. Thus the four IxxJ types – whose extraverted style is Judging – are actually Perceiving types on the inside! Thus their extraverted “personality” can mask their primary nature. Likewise the four IxxP types – whose extraverted style is Perceiving and thus tend to have an open style – are actually on the inside Judging oriented! Curious about your own MBTI type? See our free online personality type assessment here. New Articles: Jordan Peterson Cathy Newman: ESTJ, Feeling, and Cognitive Dissonance. Gender Gap and Personality Type. 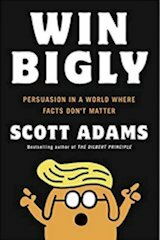 Changing Donald Trump’s Personality- Impossible Dream? Differences in Energy Orientation and/or Extraverted Orientation can produce conflicts for people and life management problems. Extraverted personailty types who work best by thinking out loud and considering matters in dialogue can be frustrated by Introverted personailty types whose best work on thinking and considering is done internally and detached from active interaction. “Why doesn’t she want to tell me what she is thinking; why won’t she share her concerns; what is he hiding?” Likewise Introverted personailty types can be harassed by the natural style of Extraverted personailty types. “If he’d just shut up, I’d be able to think about what he said; Why do we have to decide right now; I can’ t give you a good answer unless I have some time to reflect on it!” Introverted types used to reflecting before they speak are frustrated by Extraverted types who frequently seem to change their mind and change course (because they reflect out loud, may think or talk about it later, and then finally conclude – something different). What is My Myers Briggs Personality Type? Personality Types with an extraverted Judging orientation are frequently put off by extraverted Perceiving types disorderly attention to things and people around them – their failures to properly plan, organize, manage, and finish affairs. Perceiving types can be seen as “flakes” who constantly put things off til the absolute last minute. Personality Types with an extraverted Perceiving orientation often see their opposite number as control freaks and imperceptive draft horses with blinders on – and even then they sometimes miss things that are right in front of their noses! Extraverted Judging types are naturally drawn to management positions; Extraverted Perceiving types naturally resist being managed! The mellowing process of aging sometimes produces similar mellowing of the J and P orientations. Extraverted Perceiving types discover a need and an appreciation for a greater degree of order in their external affairs and Extraverted Judging types discover a need and an appreciation for a greater degree of openness and discovery in their external life. The permutations of these four preference dichotomies result in the 16 personality types that form the basis of Myers Briggs model and the Myers-Briggs Type Indicator – MBTI inventory. Which is your most favored Energy Source? Which is your most favored Perceiving Mental Process? Which is your most favored Judging Mental Process? Which kind of mental process leads your Outside World Orientation? While the tendency is to understand each of the 16 personality types as the sum of its essential parts, i.e. ESTJ = E+S+T+J, this misses an important part of the Myers & Briggs MBTI model: the interaction of the four preferences and the unique mental patterns these interactions form. For example, a mere sum of its parts does not explain why INTJ is the most independent minded of the 16 types. Nor is the intuitive investigatory aptitude of an ISTP apparent from looking at the four letters of her type code. And at first blush, the four letter code of an INFP doesn’t seem like it fits a computer geek. Understanding the natures of each type that goes beyond the 4 code letters is part of the continuing journey in understanding ones self and others. ® MBTI, Myers-Briggs, Meyers Briggs, and Myers-Briggs Type Indicator are registered trademarks or trademarks of the Myers-Briggs Type Indicator Trust in the United States and other countries (aka meyer briggs or myers briggs or briggs myers). While sometimes referred to as the Myers-Briggs Personality Test, the Briggs Myers personality test, Myers Briggs Test or the MBTI test, the MBTI ® is not a personality test but a personality inventory or instrument in which there are no right or wrong answers. The Center for Applications of Psychological Type (CAPT) is a non-profit educational organization founded by Myers and psychologist Mary McCaulley to promote continued research into psychological type and application of psychological type to foster enhanced personal development, increased human understanding, and improved management of human conflict. Is President Donald Trump a crazy man or is he normal for his Personality Type? ® MBTI, Myers-Briggs, and Myers-Briggs Type Indicator are registered trademarks or trademarks of the Myers-Briggs Type Indicator Trust in the United States and other countries.